While we can definitely use Periscope Data's visualization option to assign colors strategically, we can leverage SQL Views and ggplot2's scale_fill_manual function to more easily apply the same color scheme consistently. 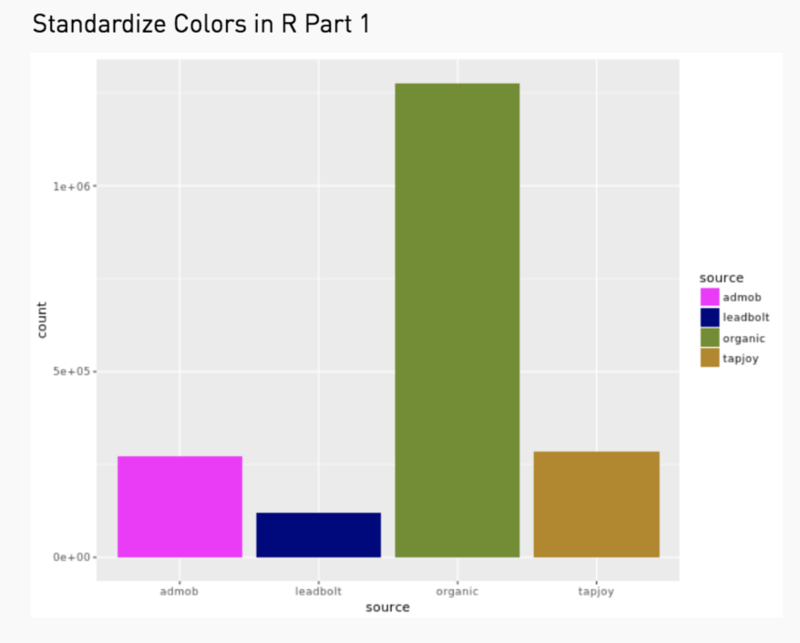 Step 1: Create a SQL view that assigns your series to R colors. 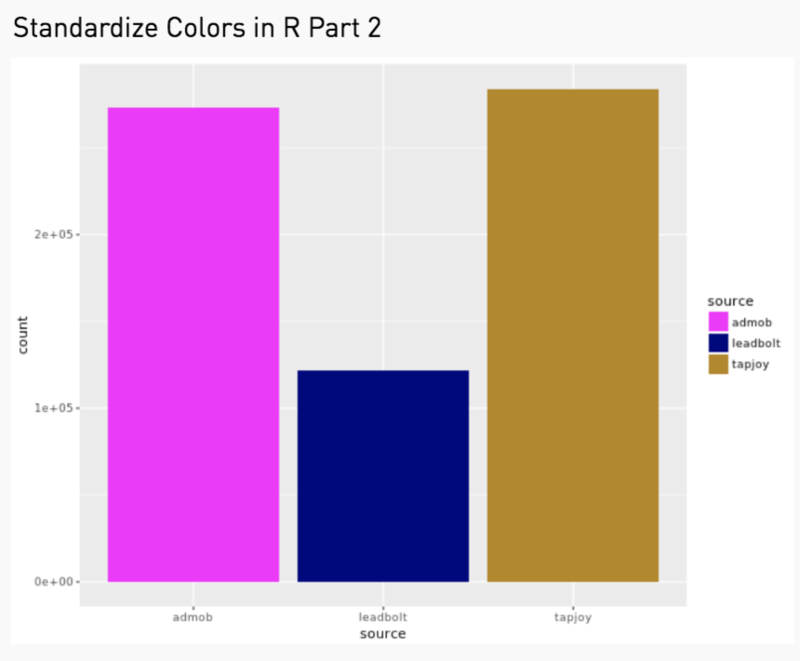 R has many exciting options to choose from - a list of supported colors can be found here! Here's the query for a view, called source_color_key, for different sources in a fictional gaming company. Step 3: Use ggplot's scale_fill_manual parameter, as shown below, to assign your custom values to your series. Remember to create a named vector that contains the name, color of each series value. The final result looks like this! Note that if we are even missing a series entirely, we still preserve the assigned coloring. In the graph below, we don't have any data for the "organic" source, but none of the other colors have changed due to our named vector. Any other tips and tricks you like to use for coloring your graphs? Very clever; for those not using Python (or who don't want to generate images for all their charts) a way to do this natively in Periscope would be appreciated, as well.